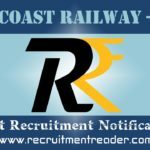 Latest East Central Railway RRC Recruitment Notification 2019 – East Central Railway (ECR) published notification for the recruitment of Staff and Welfare Officer. ECR Hajipur announced 09 vacancies for these posts. Candidates who have eligibility as per ECR Hajipur notification may forward their application through proper channel in prescribed format. The Application format can be downloaded from ECR website. The Last date to submit the application form is 22.04.2019. Group “C” railway staff having educational qualification as Diploma in Labour Welfare/ Social Welfare, Labour Laws, PG Diploma/ MBA in Personnel Department. Candidates are requested to download the application format from the ECR website. Send the completely filled application form with required documents to their controlling officer of Concerned Personnel Branch Officer on or before the last date. Logon to East Central Railway Website and then locate Recruitment Notification. Find notification for filling up the post of Staff & Welfare Officer. Click the notifications to find advertisement and application form. Find upcoming ECR Recruitment Notifications @ Recruitment Reader. 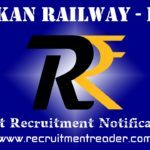 For more details regarding East Central Railway Recruitment Notification 2018 logon to www.ecr.indianrailways.gov.in. The information given above is based on ECR Hajipur official advertisement. East Central Railway (ECR) published notification for the recruitment against Sports Quota, Cultural Quota and Scouts & Guides Quota for the year 2018-2019. ECR Hajipur announced 35 vacancies, among 35 vacancies 21 vacancies are announced for Sports Quota, 12 vacancies for Scouts & Guides Quota and 02 vacancies for Cultural Quota. Candidates who have eligibility as per ECR Hajipur notification may forward their application through proper channel in prescribed format. The Application format can be downloaded from ECR website. The Last date to submit the application form is 04.09.2018. 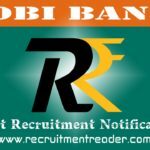 For candidates residing in Assam, Meghalaya, Manipur, Arunachal Pradesh, Mizoram, Nagaland, Tripura, Sikkim, Jammu & Kashmir, Lahual & Spiti District, Pangi sub-division of Chamba district of Himachal Pradesh, Andaman & Nicobar Islands and Lakshwadeep, the last date to submit the application is 19.09.2018. Sports Quota – 18 to 25 years as on 01.01.2019. Scouts & Guides Quota – 18 to 30/33 years as on 01.01.2019. Look into ECR Notification for more details of Sports, Scouts and Cultural qualifications. For all other candidates, ₹ 500/- (₹ 400 refundable to candidates appear for Selection). Fee should be in the form of Indian Postal Order (IPO) in favour of PFA, East Central Railway, payable at Hajipur. Download the application format from the ECR website. Application form for Sports Quota, Scouts & Guides Quota and Cultural Quota are available separately. 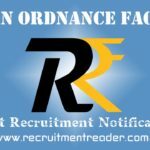 Send the completely filled application form with required documents to General Manager (Personnel), Recruitment Section, E.C.Railway Headquarter Office, Hajipur, District-Vaishali, Bihar – 844101 by Ordinary Post. Also application can be dropped in the box kept in the office. Find notification for Sports, Cultural and Scouts & Guides Quota Recruitment 2018-19. Click the notifications to find advertisement and application form separately. 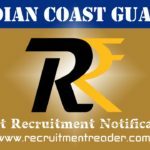 For more details regarding East Central Railway Recruitment Notification 2018 logon to www.ecr.indianrailways.gov.in. The information given above is based on ECR Sport Quota, Cultural Quota and Scouts & Guides Quota official advertisement.